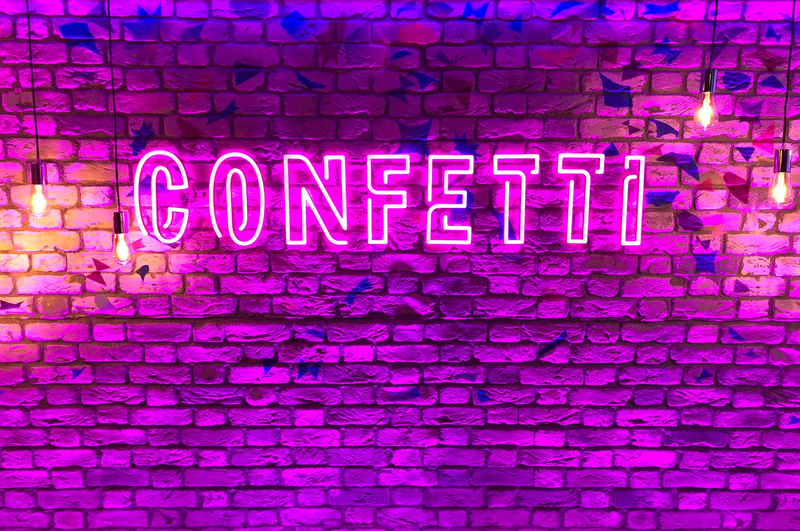 Confetti is a new live trivia game played every day at 1.30pm, only on Facebook Watch. Big cash prizes of up to £10,000 can be won during the game and inviting your friends can boost your chances of winning. Online trivia games similar to this have become popular over the last year but with this being played live on Facebook, people can join together with their friends from around the country to win a share of the prize fund. 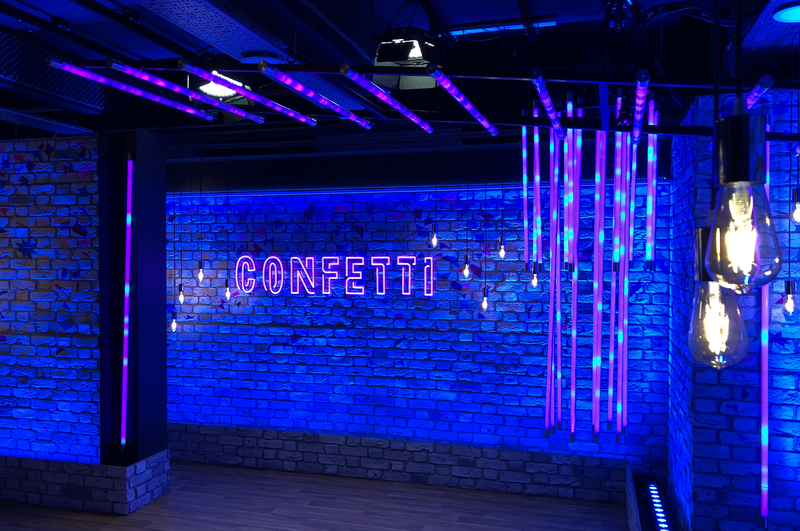 Celebro Media in association with Thames, who are the producers of the show, chose our LEDJ Pixel Storm 12 Quad Battens on a recommendation from the lighting designer Roger Williams who had used these previously on last years’ Christmas edition of Top of the Pops. 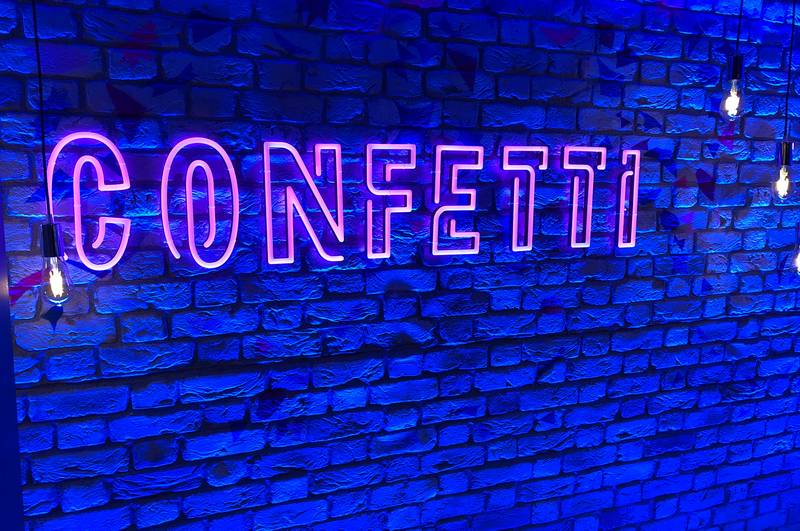 The studios backdrop, a brick effect wall, was perfect for our battens to uplight creating smooth washes of bright vibrant colours whilst the highlights and shadows from the brick wall really popped against the neon pink CONFETTI sign. 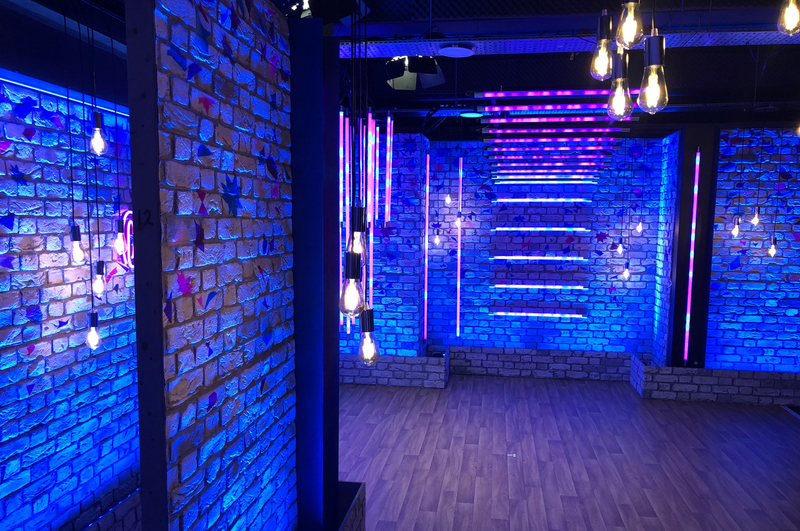 The 10° x 45° ellipsoidal beam angle in these fixtures helps to provide a smooth wash with a wide coverage, whilst the 3000Hz refresh rate is great for studios and TV where flicker-free operation is essential. 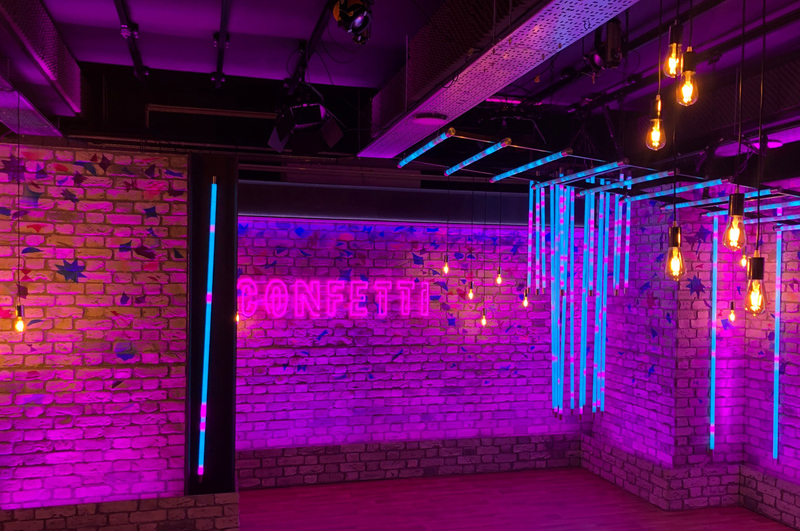 The fixtures are also extremely versatile with end and central brackets for multiple rigging or floor standing applications. They also come supplied with an eyebrow to reduce glare and hide the LEDs when uplighting. We also have our new HEX version available which Roger has mentioned he is definitely interested in taking a look at for future projects. For more information on the LEDJ Pixel Storm 12 range click here.